Sometimes it's difficult to explain poverty--or the importance of charity--to children. 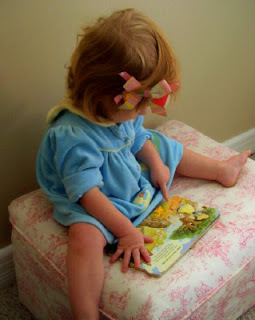 Good books can bridge that gap of understanding. I've tried to highlight every good children's book I've found on this subject. Thanks to the readers who recommended The Rag Coat by Lauren Mills. The narrator is an Appalachian girl who can't afford the coat she needs to attend school; her beautiful patchwork solution is made fun of by the other students. The Rag Coat's charming illustrations and snowy setting make it a great family read-aloud before gathering your outgrown coats for a winter clothing drive. 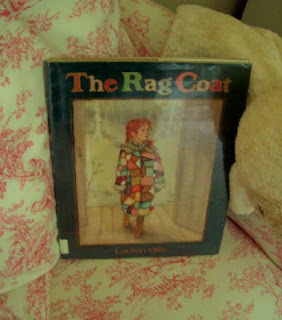 We love The Rag Coat (and it is a part of our curriculum). Another great book along a similar theme is A New Coat for Anna by Harriet Ziefert -- it is set at the end of WWII and focuses on patience, resourcefulness and bartering ... we don't get what we want right now, we have to work for it and be patient. I will have to check this out. Thanks for sharing! I just put a library hold on it.. thanks. My number one favorite thrifty tip is to make use of your local library. is this by Dolly Parton? If you haven't heard it, she has a song along those lines called "Coat of Many Colors" that is really lovely. enjoy your blog a lot btw. Thank you for this fabulous post! I have been trying to work with the littles on the subject. My 4yo is starting to get it but when there is a way I can introduce a book AND a concept.. WOOHOO! The Family under the Bridge is also great for explaining about homelessness. It was one of the kindergarten-level picks in our Sonlight homeschool curriculum. Thanks so much for this little list! This is an area that I want my children to better comprehend. I'll have to look at that one, I know Joseph Had a Little Coat and it's a great one. Another good one is "Coat of Many Colors" by singer Dolly Parton. There's a book my kids used to check out of our church's library, & I'm having trouble remembering if the title is "A New Coat for Anna" or "Anna's New Coat". It takes place somewhere in Europe, after the war, & it goes through the steps required by one family to get a new coat for the little girl, everything from berry-picking to make dye, to trading jewelry. A good read! we've read them all except the first one you mentioned...was gonna look it up online at our library but their website appears to be down. Hope I remember to check later. I really liked "Joseph Had a Little Overcoat" - very cute story. Harriet Zieferts: A New Coat for Anna. My #1 favorite book. And so appropriate for this topic. That book looks lovely! And, I'm sure it helps children identify with the needs of others. As some have said, that does remind me of the Dolly Parton song. I saw an interview where she said she based the song on a real coat that her mother made her.